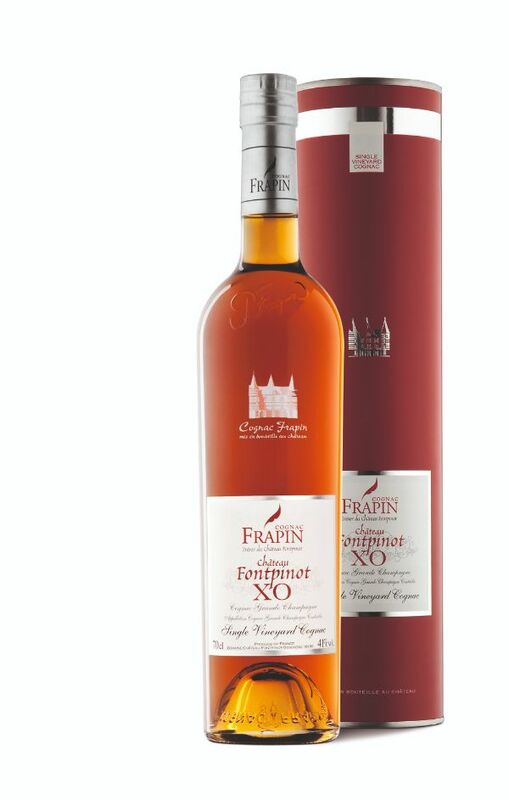 An encounter between time and inspiration, Frapin’s style exalts the very essence of Cognac. Established in the Charente since 1270, Domaine Chateau Fontpinot, is the personification of a great family tradition with centuries of experience and an exceptional vineyard estate. Wine-grower, distiller and merchant, the Frapin family has accumulated a vast estate over the ages including 593 acres of remarkable vineyard in the heart of Cognac’s Premier Cru area, the Grande Champagne. On the hillsides of Segonzac around Chateau Fontpinot, the Domaine, keeps alive the age-old methods of grape growing, harvesting, pressing, distilling and ageing. Red copper Charentais stills, oak casks from the Limousin forests, alternate damp and dry cellars. . . every day, the methods used by the experts at Domaine Chateau Fontpinot ensure that the true character of Grande Champagne cognacs that are enjoyed throughout the world, continues to thrive. The finesse, bouquet and clean, powerful character of the terroir expressed by Frapin Cognacs inspire moments of refined pleasure and quite unique sensations. COLOR: Old amber with hints of autumn brown leaves. NOSE: Floral, dry wild flowers, dried roses, vanilla, hints of toasted oak, curry, saffron touches. PALATE: Elegant with some weight, nuts, walnuts, candied fruit, touches of port, balanced. FINISH: Long finish, with some “rancio” background, spotless purity, vivid, semisweet aftertaste. CELLAR MASTER’S NOTE: Essentially a dry cellar Cognac for its finesse and elegance without overpowering oak, sheer elegance. Aged 10 to 18 years while an XO is legally required to be aged for a minimum of 6 and half years. Our house’s flagship cognac.